Fully qualified and experienced arborist services. We have years of experience removing and pruning trees, Trimming Hedging and removing stumps all shapes and sizes. We are specialists in the care of trees and shrubs, treatment and the prevention of tree diseases. We can remove dangerous overhanging branches for trees of any size. Our Vermeer stump grinder in action. We offer tree stump removal for new or existing tree stumps. 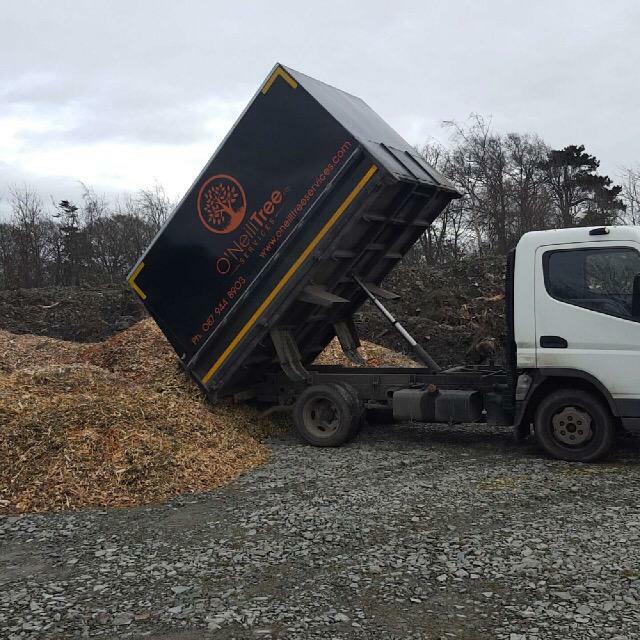 Our services include: Tree Felling, Tree Surveys, Palm Trees Pruned, Stump Removal, Waste Shredding and more. We offer a comprehensive, high quality hedge cutting service across Dublin, Kildare and Wicklow and surrounding areas. We are able to work with any size of hedge, from ornamental, to that overgrown troublesome conifer hedge and maintain hedges throughout the year. keeping your garden looking its best. The most common services required are; hedge pruning, trimming and hedge reduction and cutting. The art of caring for trees is called arboriculture, and one who devoteshimself to it an arborist. Massive oak removal this week.